Swimsuit top sporty bra by Rip Curl. Advice : This bra is this summer's the best-seller, don't miss it! At Monpetitbikini we love this feminine surfwear style! Little extra? 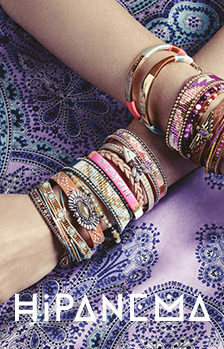 Its trendy ethnic multicolor prints which highlight your suntan! Rip Curl is a trendy swimsuit, accessories and surfwear brand ! Its beachwear and sportswear style is well known around the world ! This year again, Rip Curl won't disappoint you ! J'avais peur de la taille mais pas de problème final super je recommande! Parfait pour moi pour protéger une cicatrice et en plus il est magnifique !!! Swimsuit bra black multicolor Tribal Myth (Top) is not currently available.